Without proper treatment, gum disease can cause your teeth to weaken and fall out. Dr. Zhitnitsky provides his Encino, CA, patients with a comprehensive array of gum disease treatments, including treatments for mild, moderate and severe disease, so men and women can avoid tooth loss and enjoy optimal oral health. Gum disease begins when tartar and bacteria build up along the gum line, causing irritation, redness, and swelling. In this early stage, it's also referred to as gingivitis. Without treatment, the bacteria will multiply, producing toxins that cause the gum tissue to recede or pull away from the tooth, creating gaps that enable the bacteria and tartar to invade the lower portions of the tooth. Over time, they can reach the tooth root, causing the root to become loose and weak and eventually resulting in tooth loss. The more advanced form of gum disease is called periodontitis, and it's the leading cause of tooth loss in American adults. To clean the area of the tooth below the gum line and rid the root area of harmful bacteria, special cleaning techniques called scaling and planing (sometimes referred to as root planing) are used. Scaling uses special tools to remove bacteria and hard tartar below the gum line and around the root area. Planing smooths out rough spots on the tooth surface where bacteria can attach themselves more easily. Antibiotics may also be applied to the area or taken orally to kill bacteria that are difficult to reach. What if I just have mild gum disease? For gingivitis, having additional routine cleanings combined with improved brushing and flossing techniques may be enough to stop the disease progression and avoid damage to your gums and teeth. During your office visit, your gums will be evaluated for signs of gum disease to determine if you need additional cleaning appointments or if you need to improve the way you're brushing and flossing. The hygienist can give you tips on how to better clean areas you may be missing so you can keep your teeth and gums as healthy as possible between office visits. Are there non-surgical options to treat my gum disease? 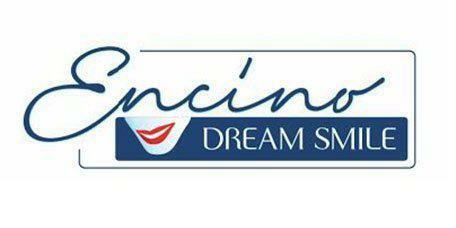 Encino Dream Smile offers a nonsurgical treatment for gum disease. Perio Protect is a comprehensive and nonsurgical method that is customized for patients in order to manage biofilms, bacteria growth, and maintain oral health while being as minimally invasive as possible. A tray of non-invasive chemical solutions is used to degrade biofilm from the periodontal pocket and help change the microbiological environment to interrupt biofilm growth. For more information, visit here.